Hadasit, the Technology Transfer Company of Hadassah Medical Organization, has launched Ways, an incubator for joint Jewish-Arab biomed ventures in the Galilee. In addition to an initial 7.5 million shekel investment by Hadasit, several million dollars have been pledged to Ways from social organizations as well. Ways will invest $500,000 in 12 projects each, which will be matched by the Office of the Chief Scientist. In the process of seeking better health, being more informed about their situation and finding comfort and support, patients are flocking to social health websites by the millions. They seek medical information and at the same time share their own personal experiences and insights. Aware of this social health movement, health professionals are eager to learn about this change and its far reaching implications on patient preferences. Treato is changing this reality. Developed over 3 years by First Life Research, a company based in Yehud, Israel, Treato uses novel technology to understand what patients are saying in their own words. It is nearly impossible to understand billions of discussions in the medical field – one of the most complex and sensitive topics discussed online. Deciphering this data is a significant challenge, requiring combined expertise in both computer science and psychology. Treato identifies, analyzes, and understands the information from patient discussions, inviting anyone to search this data on treato.com and explore thousands of drugs and medical conditions. The Academy for Entrepreneurial Leadership traveled to Israel in March 2011 to experience and document Israel’s amazing start-up community. They met with various start-up companies, incubator programs, and venture capitalists to discover what makes Israel, an incredibly tiny country, so successful when it comes to new venture creation. they hope to apply what we have learned to inspire and enhance the start-up community in Illinois. This documentary feature was premiered at the Start-up Illinois Dinner on May 19th, 2011: Open link. Thanks to my colleague, Mr. Yariv Becher, Israel’s Trade Attache to the Mid-West, based in Chicago, USA, for sharing this link with me. 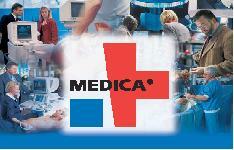 more than 40 Isra eli companies will present in the Israeli pavilion at Medica. The leading global conference and exhibition for medical devices that takes place every November in Düsseldorf, Germany. The Trade Office of the Embassy of Israel to South Africa is inviting SA companies that plan to attend the German event to visit the Israeli pavilion and to have pre-scheduled, 1 on 1 meetings with the Israel companies. Browse our catalogue on www.israelmedicalinnovation.com or on the below file. The new brochure, “Israel – Global Center for Breakthrough Innovation,” produced by Israel’s Investment Promotion Centre of the Ministry of Industry, Trade and Labour, bolsters Israel’s position as an innovative powerhouse and a preferred target for foreign direct investment. Israel’s innovative professionals are a central focus of the brochure, which emphasizes the country’s human capital as the vital component that binds together all the key elements of its success. Kesselman and Kesselman PricewaterhouseCoopers in a recent report shows investments in Israeli start-ups rose 21% from the first quarter to $206 million in the second quarter of 2010, and 27% from the corresponding quarter of 2009. For the first half of 2010, total investments in Israeli start-ups amounted to $376 million, slightly above the $356 million invested in start-ups in the first half of 2009. The upward trend was led by the medical devices and biotech sectors, while investments in Internet start-ups bounced back to the levels of recent years after low levels of investment in the first quarter of 2010. The data reflects the highest level of investment since 2004 in the life science section, which combines medical devices and biotechnology. Over the last two decades, Israel has become famous for its high-tech capacity, particularly in telecommunications, information technology, electronics and life sciences. Its capacity for innovation and highly-educated, skilled workforce has played a key role in its rating as a high-tech center next to Silicon Valley in California. Full article.